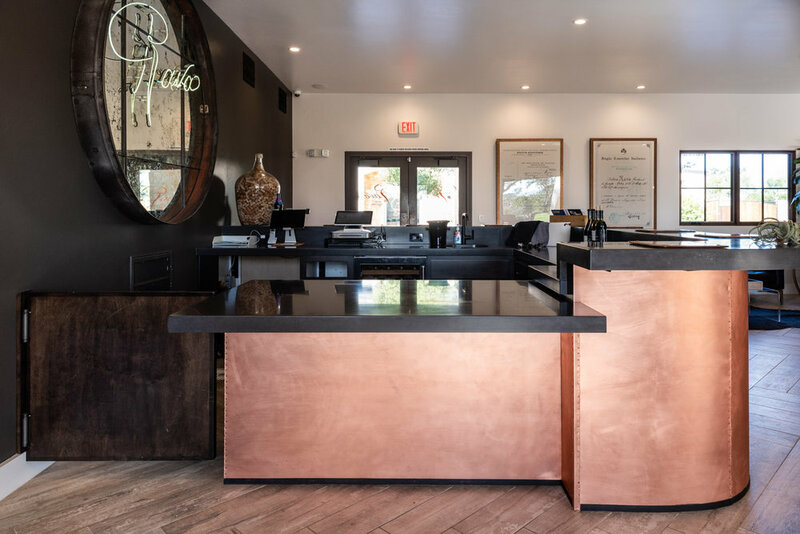 Industrial Tasting Room custom tasting room bar cabinets in Templeton, California — Sligh Cabinets, Inc. 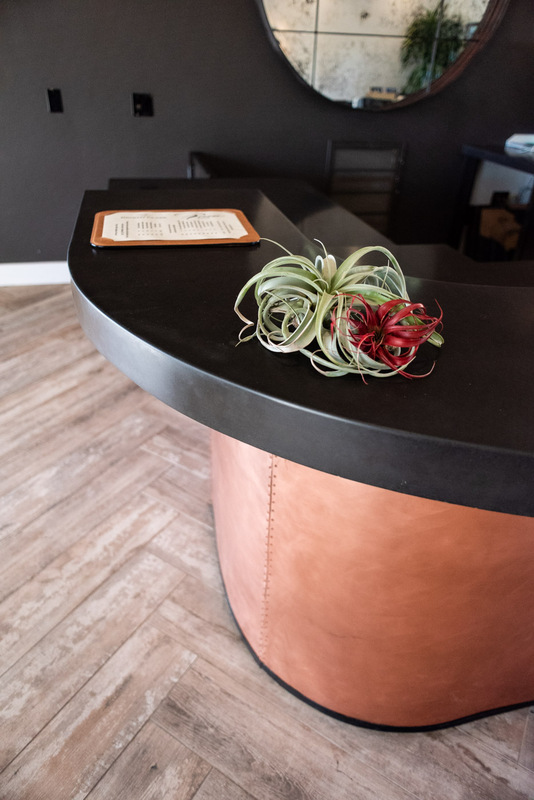 Concrete counter tops and dark wood cabinets complete this industrial look. 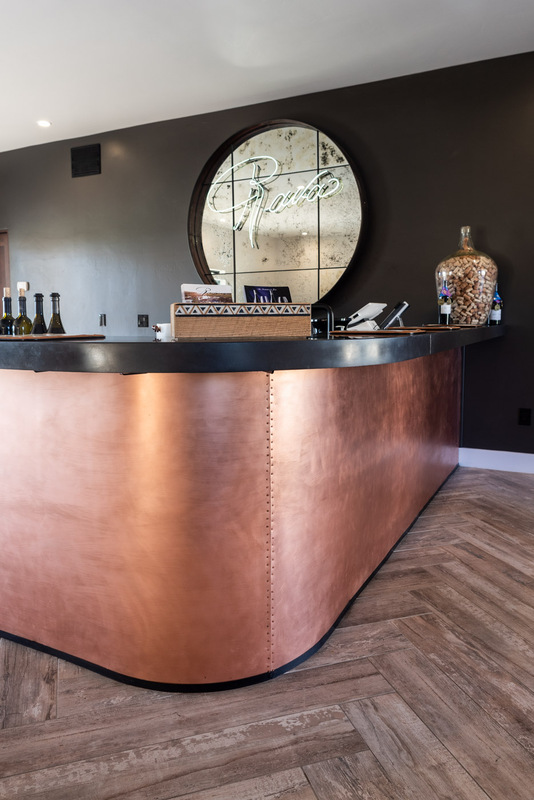 Set in the Paso Robles wine country, this wine tasting room blends copper metallic accents with dark wood bar cabinets and concrete countertops to create a warm industrial look. The cabinets are built with custom elements, including a trash cut-out and wine fridge opening.